Ghana PowerClubs had a unique beginning in the KIMI PC network. The clubs were originally named “Royal Cadets” operating as an outreach of Action Child Mobilization, headquartered in South Africa. 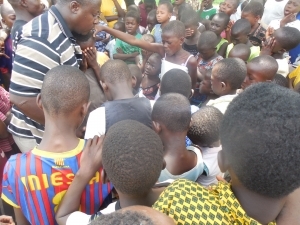 As an ACM director, Pastor Francis launched into neighborhoods and schools to reach the children of his nation. KIMI joined his effort in November of 2007, strengthening and adding focus to the ACM groups through training and donated curriculum. They have been renamed Royal Cadet PowerClubs. As of 2015 Pastor Francis became the director of Kids in Ministry Ghana, and we are very proud to have him as one of our international leaders. 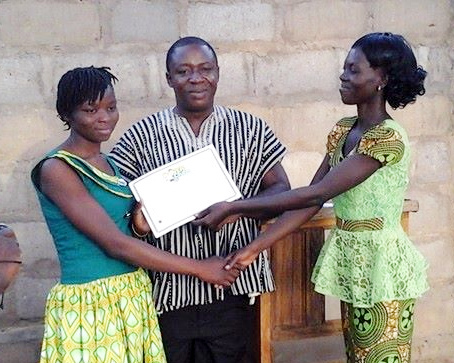 Ghana PowerClubs, like Kenya, has already developed its own training team. Within seven months a second training and launching took place for a different community. In the past four years, several other new trainings and refresher trainings have taken place. There are now 47 Royal Cadet PowerClubs serving 10,000 children. Pastor Francis has a great vision with many branches. He was actively involved in “Right to Play,” an international humanitarian organization that uses sport and play programs to improve health, develop life skills, and foster peace for children and communities in some of the most disadvantaged areas of the world. In other ways, Francis and his wife provide reading materials, including Bibles, for their children, they do what they can to purchase school supplies and uniforms for as many as they can. They also take in street children into their home and raise them as their own. Residents of Ghana may contact Pastor Francis Opoku for information on PowerClubs and to be trained to be a PowerClub leader at acmfrancis@gmail.com. “Our children have been empowered. One fact is, THEY HAVE NO FEAR OF WHAT MANY PEOPLE FEAR HERE. The major demonic operation here is what we call “juju”, the occultist practices. In the villages, there are god’s and men that scare the people. People even dare not mention their names. Reports from the field tell me that, even when Christian adults fear to preach against them (by mentioning their names), our children public pray and speak against them. Our children publicly declare them powerless. Sometimes, their parents get scared something might happen to them. But nothing happens. They confront witchcraft without any intimidation at all. At one prayer meeting, when the children were speaking against the works of the devil against children and youth in their village, a child told them he saw Satan dead. Same week, the town saw the death of a woman believed to be a big witch. There have been similar reports. But what I see excites my leaders is when our children go out preaching the gospel to all, without fearing people who are known to be spiritually fighting the work of the church. They go to every home declaring the power of Jesus to save everyone who comes to him. 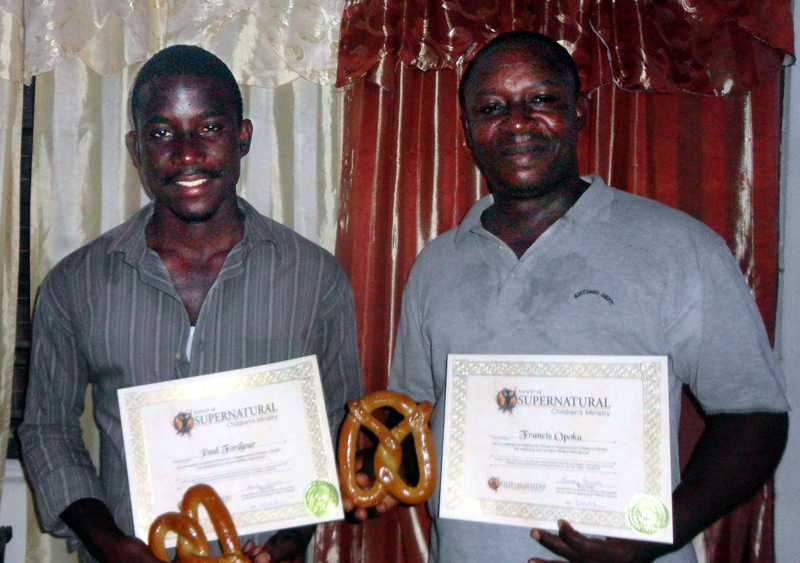 Pastor Francis became a proud certified graduate of the School of Supernatural Children’s Ministry in 2014.